Ever wondered what songs other DJs are mixing together? How unique or common are these mixes? 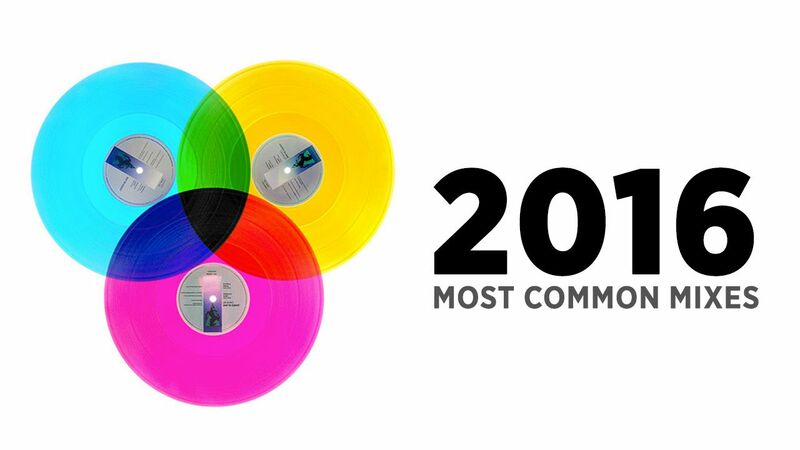 In this article we reveal some of the most commonly mixed tracks and sequences in 2016. Keep reading for the full data and mix details! After being a beta tester on the Kado software this year, I got a chance to chat with Ean and his team about some of the data they were starting to gather on DJ sets. Because they’re pulling from an ever-increasing list of DJ sets, I wanted to know if they’d be able to go beyond simple track-based recommendations and find out trends in DJ sets overall. The Kado team took these questions and built some of them into an end-of-year insights report called “A Year On The Decks“. What Two Songs Did DJs Most Commonly Transition Between? For this data, the Kado team first looked at what they consider “Pro DJs” – or professionals who are playing big gigs, festivals, large clubs. These are not resident DJs or mobile DJs – they’re touring DJs. DJs who played this transition include: Benny Benassi, Hardwell, Dimitri Vegas & Like Mike, Bassjackers, and more. DJs who played this transition include: Major Lazer, Sidney Samson, Annie Nightingale, Getter, Jayceeoh, and more. What 3 Song Vignettes / Sequences Did Touring DJs Most Commonly Mix Together? The Most Popular Remixes and Remixers?